Are you looking for the perfect way to tell her/him how grateful you are? Do you want to show you real feelings? We help you to make this event more perfect! Buy the program as a gift and be the part of the complete romantic! 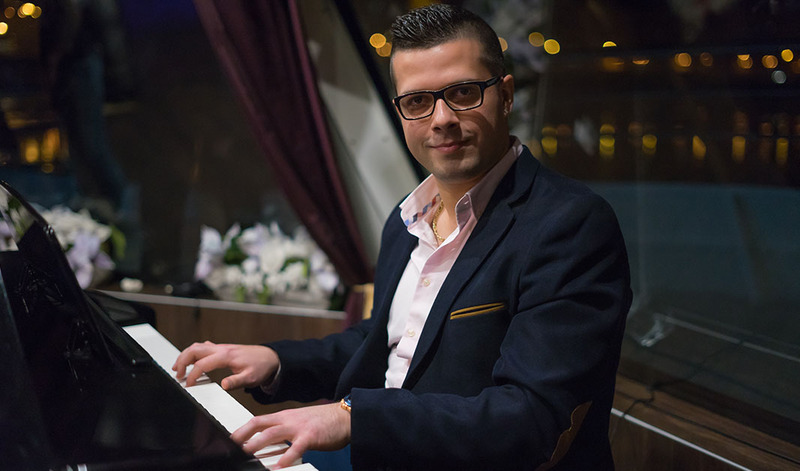 Our popular live piano battle show with international romantic songs will guarantee your satisfaction during river cruise in Budapest. Friendly staff, elegant area, well-known romantic songs, and 4-course dinner are the key to making a successful night! The owner of the voucher can taste the most popular dishes of the Hungarian cuisine with a glass of welcome drink. Our voucher is valid for two on the boat of Silverline Cruise. Pre-order and booking for our dinner cruises are necessary in case of purchasing our dinner vouchers. The owner of the voucher has to call our official hotline phone or send an email to check our availability.